I don't care who you are, Full House is the best show ever. And let me tell you, when rerun episodes of Full House replaced The Jay Leno Show while we were living in Australia, Tyler and I both expressed our joy with a celebratory dance. 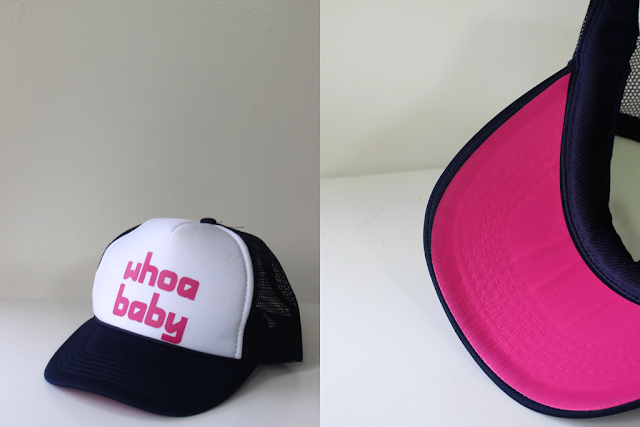 So when Tyler had the idea to make a hat for Parker with the phrase "Whoa Baby" as a nod to the show's well known phrase, I was totally on board. 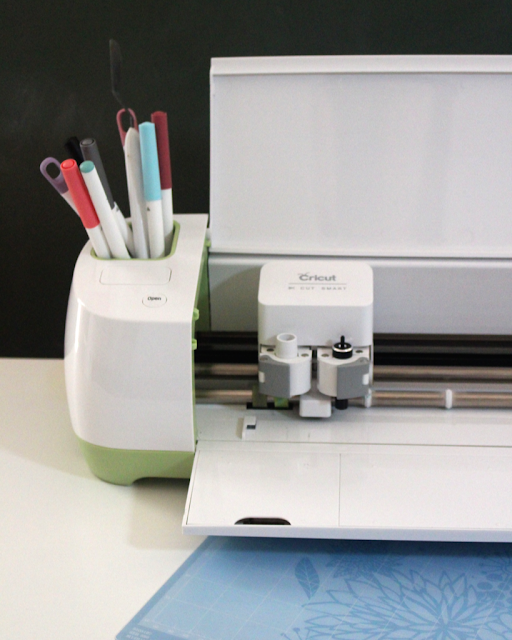 Here is how you can make your own using the Cricut Explore. 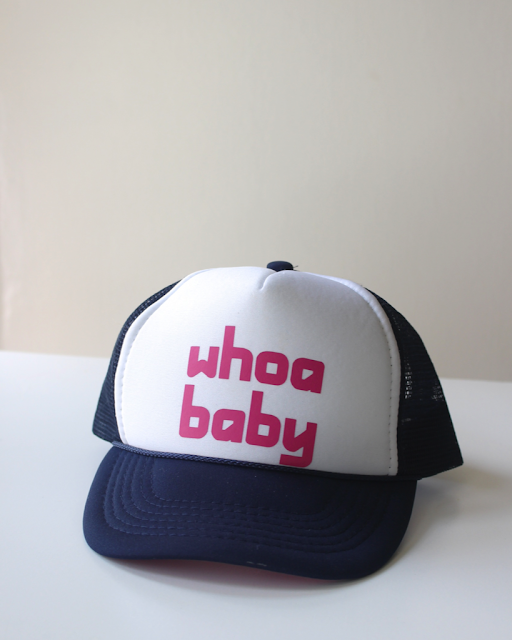 Type "Whoa Baby" into the Cricut Design Space and pick a font that fits your style (I used "Bandwidth"). Load your Cricut Iron-on Lite onto a mat, set the dial to vinyl, mirror the words, and press "Go". Once you are ready to iron on to a plain trucker hat (I ordered mine from Amazon for about three bucks), heat the iron to a high setting (turn off the steam), place the image, and go for it by following the these instructions. 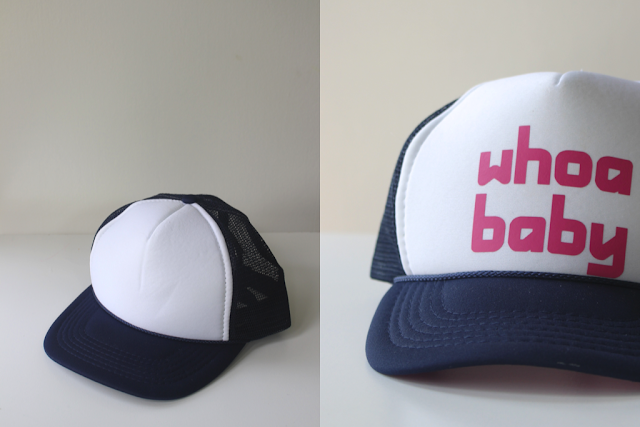 I also cut a piece of iron on material to create a pop of color underneath the brim of the hat.